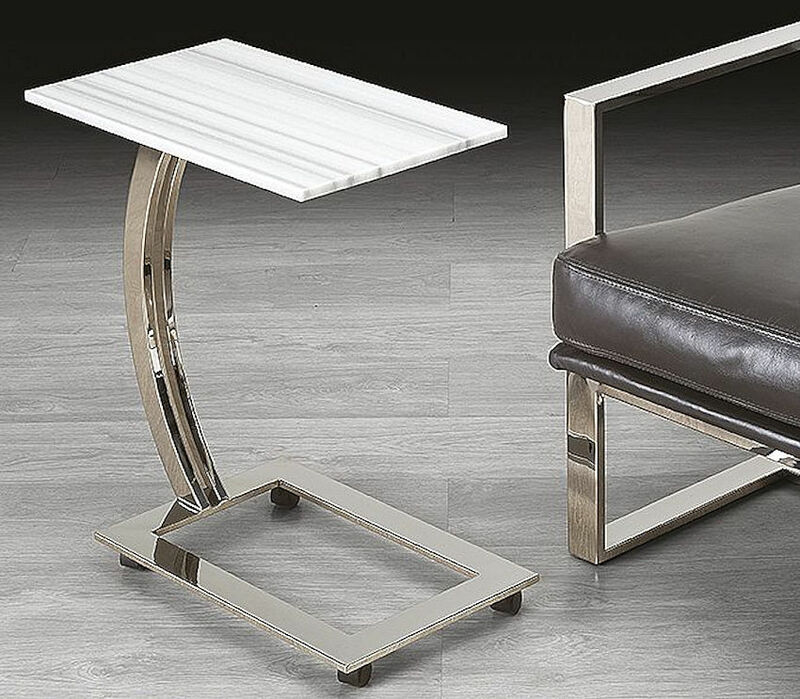 $ 595 - #0363 accent rectangular table on casters with top in Stripes Grey marble and polished steel base. Dimensions: 20" x 12" x 22"H. Also can be ordered with oval top and in any stone. 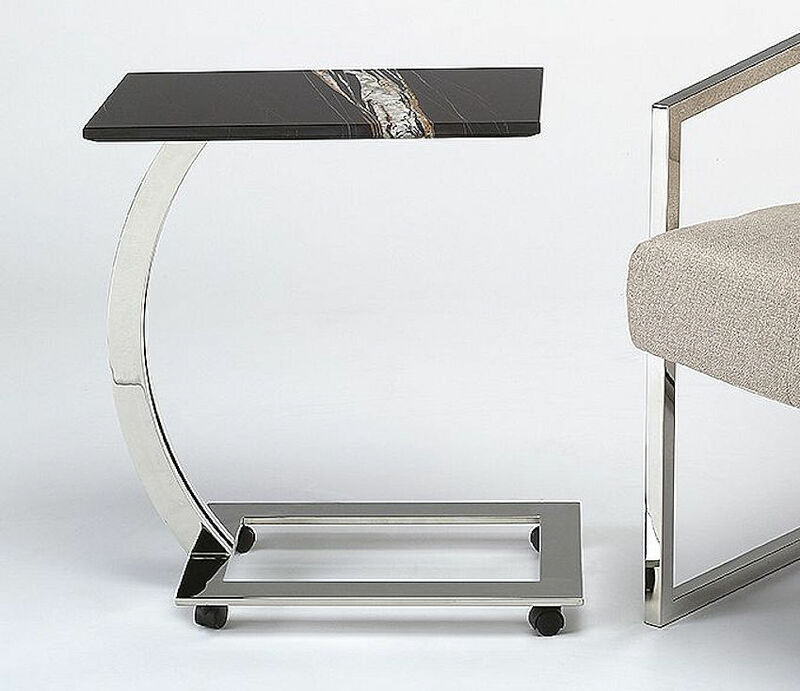 $ 750 - #0363 accent rectangular table on casters with top in Sahara Noir marble and polished steel base. 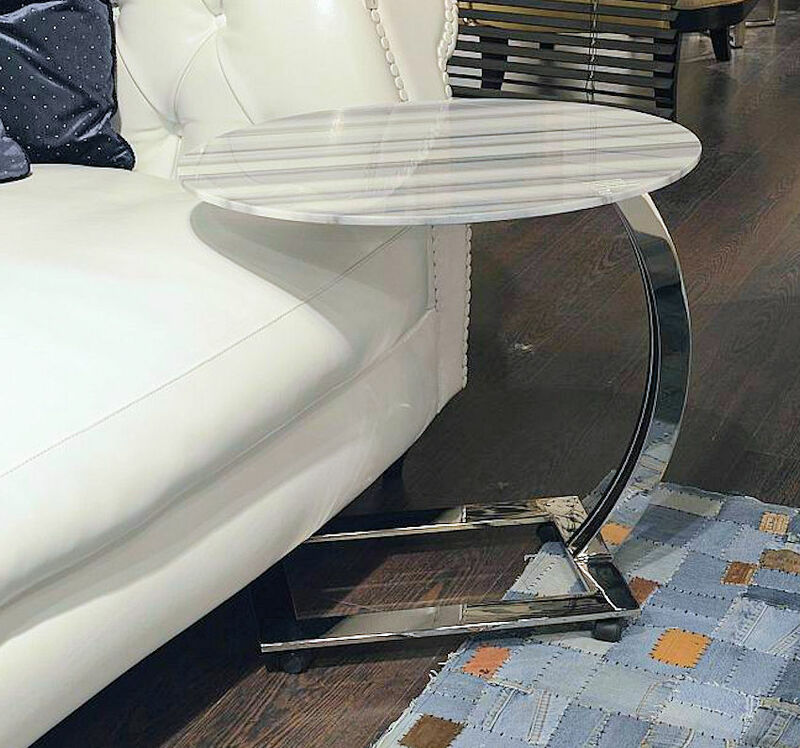 $ 595 - #0363 accent oval table on casters with top in Stripes Grey marble and polished steel base. Dimensions: 20" x 12" x 22"H. Can be ordered in any stone.